Jürgen Herre joined the Fraunhofer Institute for Integrated Circuits (IIS) in Erlangen, Germany, in 1989. Since then he has been involved in the development of perceptual coding algorithms for high quality audio, including the well-known ISO/MPEG-Audio Layer III coder (aka "MP3"). In 1995, Dr. Herre joined Bell Laboratories for a PostDoc term working on the development of MPEG-2 Advanced Audio Coding (AAC). 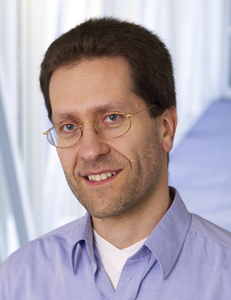 By the end of ‘96 he went back to Fraunhofer to work on the development of more advanced multimedia technology including MPEG-4, MPEG-7, and MPEG-D, currently as the Chief Executive Scientist for the Audio/Multimedia activities at Fraunhofer IIS, Erlangen. In September 2010, Dr. Herre was appointed professor at the University of Erlangen and the International Audio Laboratories Erlangen. Dr. Herre is a fellow of the Audio Engineering Society, co-chair of the AES Technical Committee on Coding of Audio Signals and vice chair of the AES Technical Council. He is a member of the IEEE Technical Committee on Audio and Acoustic Signal Processing, served as an associate editor of the IEEE Transactions on Speech and Audio Processing and is an active member of the MPEG audio subgroup.